WASHINGTON, DC - DECEMBER 29: John Wall #2 of the Washington Wizards handles the ball against James Harden #13 of the Houston Rockets on December 29, 2017 at Capital One Arena in Washington, DC. The Wizards will host the Houston Rockets on Monday night to conclude a quick two-game homestand. Fresh off Saturday’s win over the Pelicans, the Wizards have won five of their last eight games. On the other side, the Rockets are finishing a three-game road trip after losing to the Pistons and Cavaliers on the road. Chris Paul missed the Rockets’ previous game due to rest, and is questionable for Monday. Dwight Howard, who has not played in the Wizards’ last three games, remains questionable. On Saturday, the Wizards shot a season-high 56.7% from the field and scored 124 points against the Pelicans. A balanced scoring effort, including a season-high 29 points from Otto Porter Jr., contributed to the offensive explosion. 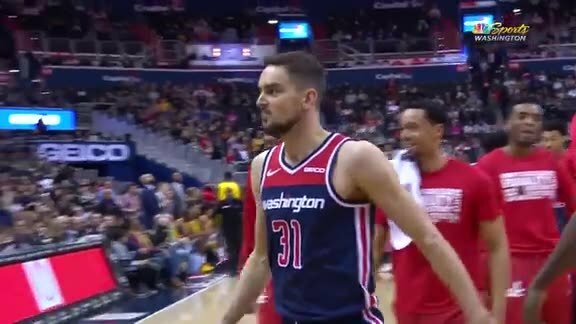 In their last eight games, the Wizards have been playing with the third-highest pace in the NBA at 103.75 possessions per game. Taking care of the ball has been a big part of the story, ranking third in turnover ratio (12.8%) and 12th in assist ratio (17.3%). The ball movement has been noticeably improved and the team has been constantly creating open looks. Washington will have a good opportunity to keep that offensive flow going against Houston, considering the Rockets rank 25th in the NBA in defensive rating (110.7 points per 100 possessions). Houston’s offense involves a ton of isolation and pick-and-rolls with Chris Paul or James Harden as the ballhandler and Clint Capela as the screener. The Rockets rank last in passes made per game (242.7), second to last in pace (96.88 possessions per game), and 24th in assist ratio (54.1%). Still, their offense is lethal because of the talent of those three players, along with the fact that the Rockets have embraced the 3-point shot more than any other team the past few seasons. This year is no different; 49.5% of the Rockets’ field goal attempts are 3-pointers, which leads the league by a wide margin. The Wizards have struggled guarding the perimeter all season, allowing 38.3% 3-point defense, the second worst mark in the league. Washington cannot afford to give Houston too many open looks; they may only shoot 33.9% from deep, but they make the second most 3-pointers per game in the league because they take so many shots from deep. 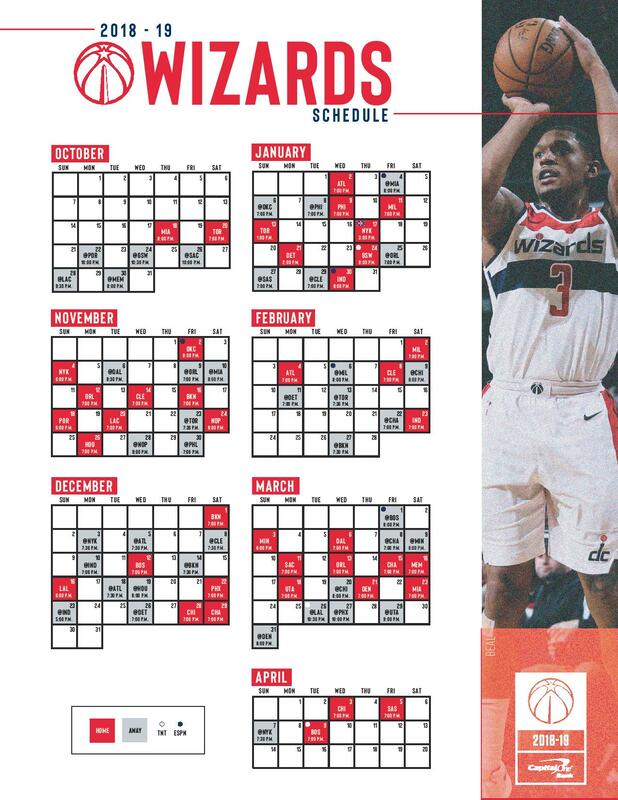 Monday’s game marks the beginning of a challenging slate of games for the Wizards. Washington will host Houston, then head to New Orleans Wednesday and Philadelphia Friday, and return home Saturday to play Brooklyn on the second night of a back-to-back. The second half of November was bound to be a challenge, but the Wizards are 2-2 so far during this tough eight-game stretch after losing to the Trail Blazers and Raptors, but defeating the Clippers and Pelicans.